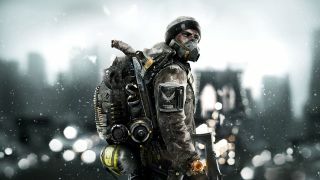 The Division puts you in the trendy hiking boots of a sleeper agent from an organization called the Division, with a mission to bring peace back to a chaotic, post-viral outbreak New York City. The open-world shooter is much more than your typical third-person action game: there is a vast world to explore, complicated co-op missions to accomplish, and high-value items to be crafted. There’s so much to do in The Division, in fact, that it can be a little overwhelming. Sure, it's easy to follow the mission structure, but if you don't pay attention to the minutiae, you might miss out of some significant character-building bonuses. With the game still receiving regular updates and expansions, there's never been a better time to check out our Division survival tips then hit the streets of NYC. Walking through the dangerous streets of The Division's New York City can be quite daunting, and you probably wouldn't want to do it every time you need to reach a mission area. When you unlock a safe house, it provides you with a fast travel point, a weapon or equipment vendor, and additional missions in the vicinity. Each safe house contains a map of the immediate area and a JTF soldier that gives you a situation report. When you interact with the map and get the report, your map is filled with encounter events and side missions to complete. The encounters and side missions are excellent places to gather crafting materials, new gear, and experience points. If you're heading to a new area, seeking out a safe house is well worth your time. Armor and weapons aren't the only items that will make you visually stand out from the crowd; you can create unique outfits by finding pieces of clothing out in the near-abandoned city. You might be lucky enough to get a cosmetic item from a drop after a shootout, but a few other methods are highly likely to get you clothes. One of the easiest ways to find clothing is to wander into the many open apartment buildings and search dressers and closets for loot. Civilians will also approach you on the streets and ask for food or medical supplies and exchange hats, jackets, and other items. Just watch for your HUD to scan a citizen in question and give them what they ask for. You're probably better off breaking down your gear for crafting materials than selling them for credits at a vendor. Weapons will give you weapon parts, armor gives you fabric, and you have a chance to get tools, electronics, and Division tech materials upon dismantling your attachments and other items. Once you have enough materials, you can start crafting more powerful weapons and gear at the crafting station in your base. If you do need the cash, there's a trick to selling all your unwanted gear all at once. Just mark the gear as junk and there will be a 'sell all junk' option at the vendor. Each of New York's districts has a safe house where you can receive various side missions from quest-givers. It's pretty easy to skip over some of these optional quests and just move on to the next zone, but if you complete every side mission and return to the safe house quest-giver, you'll get some bonus experience and a powerful equipment blueprint. Most of the blueprints are higher level than the completed zone, so you will actually be able to use your crafted gear in the next area. If you have a Ubisoft account and have been playing the company's games, chances are you have some free goodies available from the Ubi store, like weapons skins and unique clothing. You just have to head over to the easy-to-miss Rewards Vender who hangs out in your Base of Operations. To find him, just head straight back from the entrance, pass the Tech Wing stairs, and he’ll be at the end of the hall. See those numbers pinging off enemies when you shoot them? These are the damage points you're inflicting on them, and although the higher the number the better (obviously) the colour of the points is also important - white is a standard hit, blue means you're hitting armour, orange represents a critical hit and red is a headshot. Critical hits and headshots do the most damage, so you should always be aiming for orange and red hits. Tougher enemies with armour will have white bars above their health bar, and you'll need to deplete these before you can deal proper damage to them. When you completely level up one of the medical, security, or tech wings in your Base of Operations, you can unlock a signature skill for the respective skill tree. As you approach the level cap, you'll want to have the medical wing's Recovery Link skill unlocked. It allows you to heal and revive your squadmates and overheal your team to boost their maximum hit points. Having the Recovery Link skill available when you're facing the hard-hitting elites of the end game is invaluable. Once you start picking up the purple superior level weapons, you need to start paying attention to the abilities they possess. Each of the purple weapons has unique abilities that unlock only when you reach a certain threshold in your stats. If say, your firearms stat isn't high enough, you can manage the stats bonuses in your gear to meet the requirement. Don't get caught with an inactive purple ability. If you are one to ignore the tooltips that pop up here and there between shootouts, you might not have realized that you can change your grenades and use food to boost your abilities. Holding left on the D-pad will bring up a menu of grenades to select, ranging from the standard frag to incendiary explosives. Also, holding right on the D-pad will allow you to access timed buffs by consuming food to increase healing rates, remove status effects, add damage buffs, or activate the different ballistics options such as explosive and incendiary bullets. You can access the Dark Zone right from the beginning, but I wouldn't recommend it. Entering the lowest Dark Zone area (which has a player level bracket of 1 to 14) below level 10 puts you at a significant disadvantage. Not only are you at the mercy of higher level players, the enemy NPCs are at level 11. On top of the level difference, all of the items you can purchase at the DZ shop are level 10 and up. So, hang out in the PvE area and grab a few good guns before you delve into the Dark Zone. This is going back to MMO basics. Once you hit the PvE level cap of 30 you can start earning a special currency called Pheonix Credits which can buy the best gear, and begin doing daily missions. In order to get a hold of better guns and the credits you need to participate in the end game, you'll need to do the daily missions, which rework the story missions with tougher enemies, and the even more difficult challenge modes. This is going to be your primary means for getting gear that can compete with the end-game enemies and players, so it's well worth your time.